I’m trying to do this healthy-eating thing a little bit. It just seems like it’s so easy in summer, when there is such a plethora of vegetables and fruit everywhere, that it would be a shame not to. For me, quinoa equals healthy. Because it really is. It’s a grain that is packed with fiber and protein and all of those things that the people on talk shows are always saying we should get more of. And it also happens to be tasty- kind of a light, fluffy version of rice. So when I came upon this recipe, it seemed like just what I was looking for- healthy, but really delicious sounding, and summer-y to boot. So imagine my dismay when I’m preparing all my ingredients and realize that this recipe calls for half a stick of butter. Egads. I would have taken this for one of those extra-extra-triple virgin olive oil recipes. But after closer examination, I think it’s not so bad. This makes a LOT of quinoa salad, so really, the butter spreads out over many, many servings. I would go so far to say this might be a guilt-free type of recipe. It’s light, fresh, and perfect as a BBQ side, or with something a little bit more refined; it could definitely be company material. 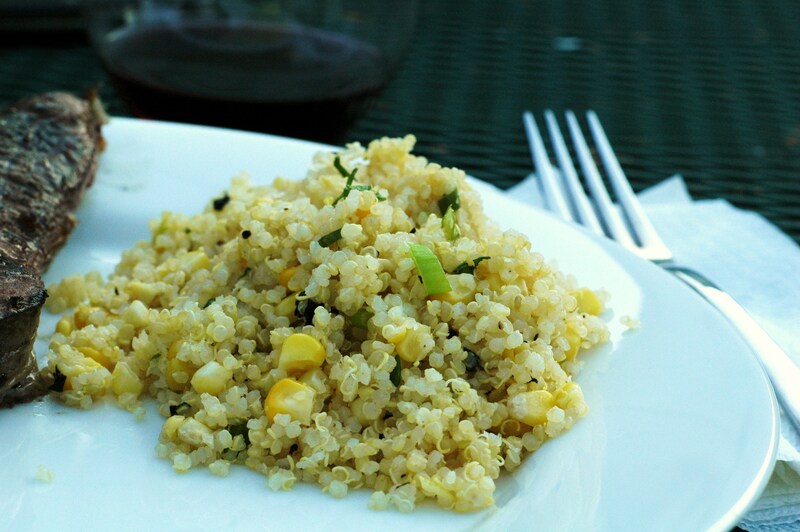 If you’ve never made quinoa before, don’t be hesitant to try it. You cook it up almost exactly as you would regular old rice. It has a nice mild, very slightly nutty flavor, nothing that will turn you off or make you think, “health food” upon the first bite. It’s the perfect partner for a bright, citrusy dressing like the one here. If you’re a quinoa newbie, this would be a great place to start. 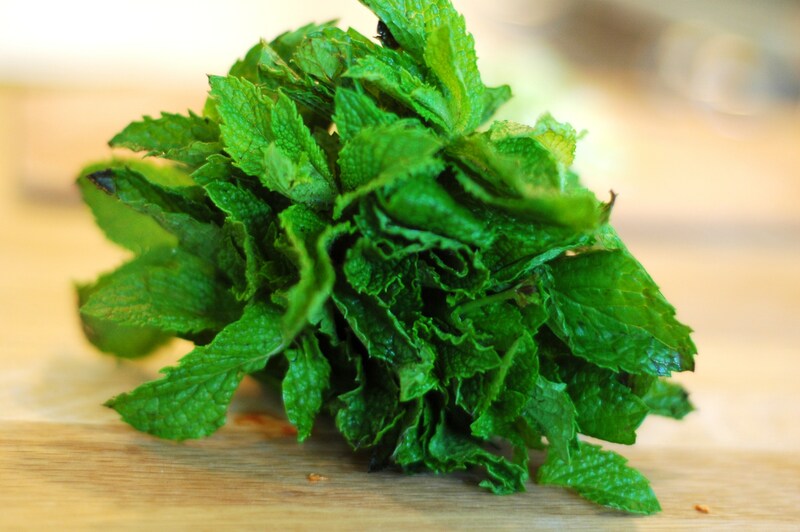 I think I’ll wait to make this again til later in the summer, when you can eat sweet corn raw and the flavor is really bright and sweet, and my mint plant finally grows up a little bit. 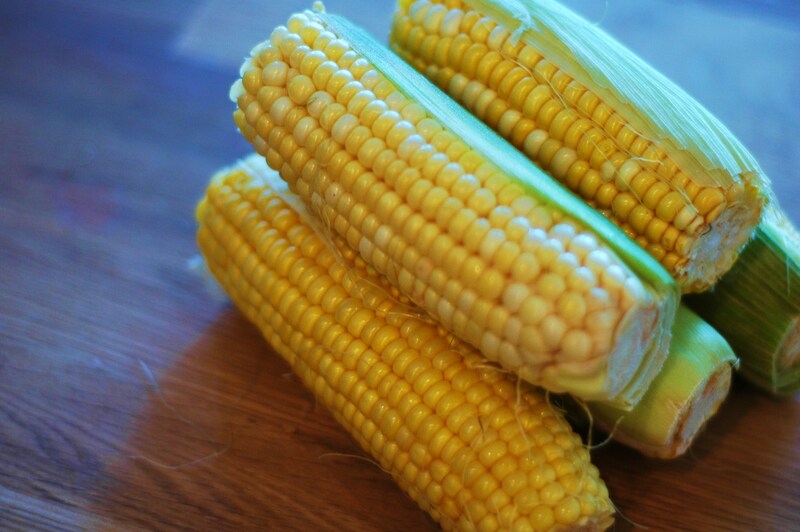 If you have really nice sweet corn, don’t bother with the first step of cooking the corn. Put corn in a 5- to 6-quart wide pot, then add water to cover and bring to a boil, covered. Remove from heat and let stand, covered, 5 minutes. Transfer corn with tongs to a cutting board. When cool enough to handle, cut kernels off cobs with a large heavy knife. Meanwhile, whisk together lemon zest and juice, butter, honey, 1/2 teaspoon salt, and pepper in a large bowl until combined. 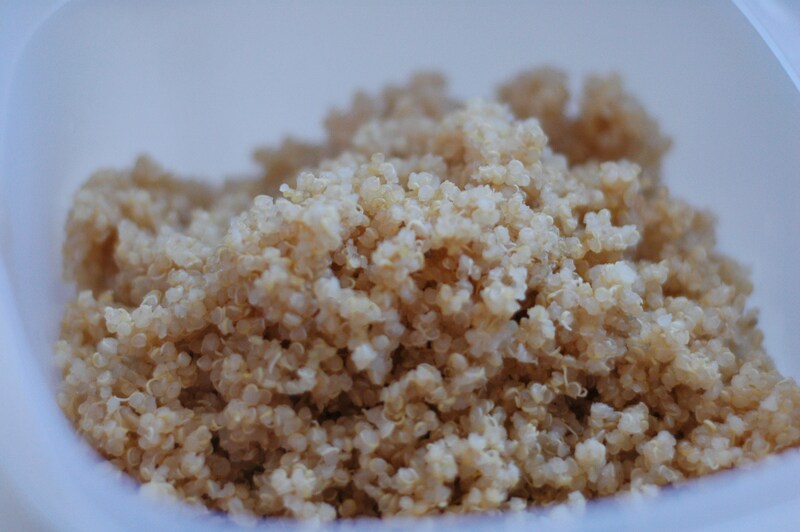 Rinse quinoa in water. In a medium saucepan, combine quinoa and 3 cups water. Bring to a boil, then cover and decrease heat. Simmer for about 25 minutes, or until the quinoa is tender. When it’s done you’ll see little curlicues coming out of the quinoa. Fluff with a fork and let cook off a little bit. 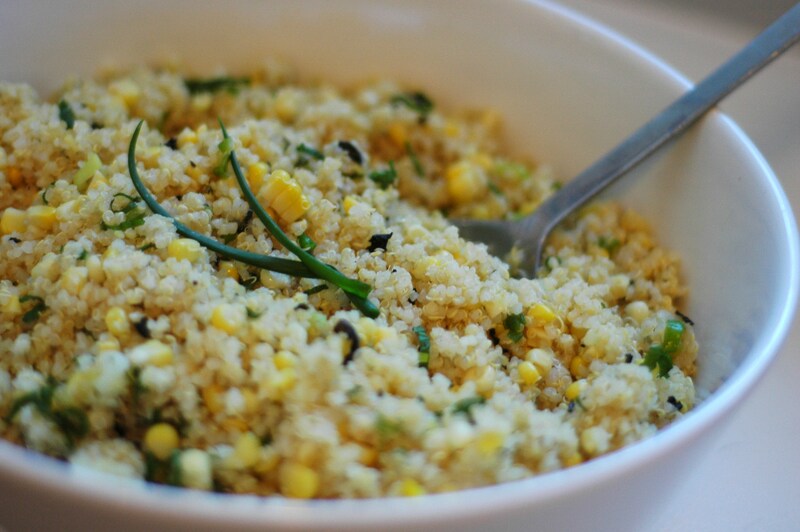 Add quinoa to dressing and toss until dressing is absorbed. Then stir in corn, scallions, mint, and salt and pepper to taste. I had couscous in my pantry and cilantro in the fridge so I went with a modified version of the recipe. The verdict: excellent! So light and fresh! Thanks, Stina! Ooo… what a great idea! I’m going to have to try that! Made this for a party today. Delicious!!! Glad it turned out well for ya- it’s always a hit around here!